Throw your hat into the political arena when you make your announcement through the medium of this colorful, red, white, and blue Patriotic Vote Postcard. 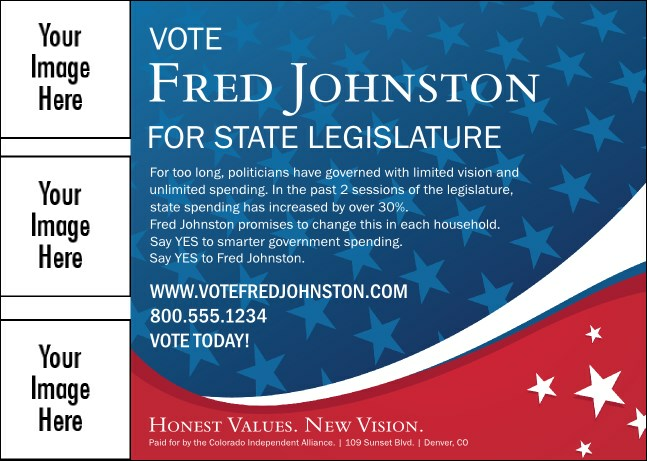 Include three faithful reproductions of any image from your own hard drive to the template and really personalize this mailing for your potential constituents. Start smiling for the camera with custom image uploads from TicketPrinting.com.